Today, frugality is dead. We saw this with the release of the iPhone 6 last September, whereupon many Apple-obsessed fans queued overnight outside Singapore’s telcos, with fights breaking out over menial issues like queue-cutting. To many of us, this may seem to be an extreme example of unneeded materialism, and we scoff at diehards who camp in queues overnight, especially when the past iPhone models can fulfill the same functions – but we don’t realize that we are also guilty of indulgence and wastage. It shows in the ways we students try to out-‘step’ each other by looking for the trendiest clothes and overspending on artisan cuppas from atas coffee boutiques. It would not be an exaggeration to say that our reasons for buying things have shifted from need to desire. Well, can we afford this? In monetary terms, perhaps, but what about moral terms? What about the people who work to manufacture our gadgets, sew our clothes and brew our coffee? But we often don’t stop to consider them, or pause to question how our suspiciously cheap products came about, or ever realise that workers could have been exploited to create the goods that bring us temporary joy. Some of us are in fact aware that popular brands are complicit in the continued repression and ill-treatment of disenfranchised laborers. Our “favorite” brands have been frequently called out on their immoral business practices. For instance, in 2014, an exposé was published with regards to Forever 21’s unfair treatment of factory workers and underhanded methods for sourcing materials such as cotton, from farms that use child labour. Unfortunately, the company has disregarded such concerns with evasive statements. Tellingly, these brands’ apathetic attitudes on their misdeeds reflect our own lack of concern for these human rights issues which we contribute to. It is well-known, for instance, that NIKE uses sweatshops, and that big-name brands such as Primark employ children to do sewing for just 60 pence a day. However, knowing this haven’t changed our behavior. NIKE’s new sneakers still generate lots of hype, and Forever 21‘s casual tops still sell quickly. Perhaps, we still haven’t fully awakened to the reality of such happenings, considering how the air-conditioned malls of our privileged reality seem far removed from sweltering sweatshops. The truth is that slavery and exploitation don’t just belong to the past. Adults and children around the world today work in inhumane conditions with scant pay – if any. They are forced to endure the tediousness of menial assembly jobs, or physical danger to themselves. While some jobs are inevitably risky, the conditions which these workers work in are uncalled for. Thousands of children can be crammed into one small factory sewing Persian carpets day and night, ten women can be huddled around a small basket deshelling prawns and workers risk death from handling dangerous machinery. They are human beings, not machines, and yet they are pushed to produce maximum output at minimum cost and discarded when broken. The profit motive has caused this blatant disregard for basic human welfare. Granted, we have to note that it is impossible to fully audit every single brand, and brands with socially responsible images may still be reaping profits from exploitation. Nestle’s FairTrade-certified chocolate products, for example, still rely on cocoa plantations in Africa which have come under scrutiny for conditions so harsh they qualify as slavery. We will never be able to find all the brands which exploit workers. Similarly, it is also impossible for us to become recluses who shun all brands, or resort to eating tapioca from home-grown gardens while wearing gunnysack clothing. We need consumer goods to satisfy our needs – it is simply unavoidable. Still, we can make the decision to stop patronizing stores that stock unethically-manufactured products. Pushing corporate giants to stop exploitation requires a huge shift away from the pursuit of material things. We find that these changes inconvenience us greatly simply because we’ve begun to equate happiness with the things that money can buy. However, are pursuing these objects for a transient sense of novelty worth the back-breaking labor that thousands of others are subject to? We may find it unfair to have a smaller range of choices, but we have to put things into perspective – how unfair then is the exploitation to the laborers forced to toil relentlessly for the rest of their lives? Many of us truthfully have no intention of contributing to worldwide exploitation. We cannot be blamed for the emergence of consumerism and capitalism. The writers of this article are no saints ourselves and have, just like many peers, browsed online catalogs and yearned for the newest fashions. However, we need to realise that while we are not responsible for exploitation, our actions fuel it and highlight our acceptance of the status quo. A 2013 rally against child labour in Kolkata, India. This self-destructive culture that revolves around spending hard and fast for petty, short-lived, superficial pleasures is not inborn. Life is not limited to material pleasures. We were not born to be superficial. In the same way, it is also not acceptable to be apathetic and blame “changing social norms” for the maltreatment of human beings. 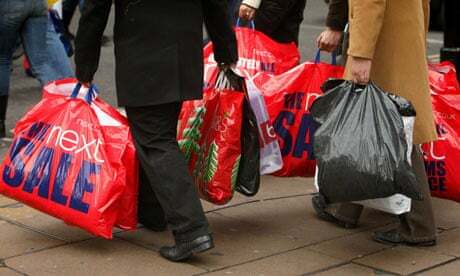 And that is why consumerism is not part of culture – consumerism is the consequence of our own conscious actions. It does not sit right with us to call it our natural state to crave material belongings and forget about the larger, more intangible joys of life. You see, I can vividly recall a time before I became materialistic, when I would scoff at extravagant clothes and goods, and when I could not see why anyone would “waste their hard-earned money on such unnecessary items” (to quote my younger self). However, shifting priorities, evolving desires, and corporate messages led to a change in my rhetoric. Now I have become someone considerably more superficial, a far cry from the person a few years ago who understood that riches did not equate to wealth. At one point some time back, when I looked at my closet, bursting with clothes, my first thought was about how I could make space for more. It occurred to me then that I only had myself to blame for saturating my home with cheapened goods which I had not questioned whether I needed. Clothes now lie at the bottom of my drawer indefinitely, because their novelty has worn off; I have turned into a spendthrift who wastes the hard-earned money of my parents on things of no lasting value to me. It was then that I decided to wake up to the mindlessness of my actions, after I understood that I was more than just my temporary, meaningless material belongings. I realize now that I shouldn’t have shopped frivolously when I knew that my purchases would eventually lose their value to my fickle eyes. I stopped racking up my budget debts from buying overpriced beverages like bubble tea and coffee all the time. I made it a point to stop frequenting retail stores known to exploit workers to reduce my slavery footprint. I didn’t throw away all my old habits right away; I simply understood the obligation upon me to improve my situation, not just for my sake but also for those of others implicated in this maelstrom of destructive materialism. It’s about time for us to come to our senses and realize: We were not born to be superficial. As consumers, our actions have the power to change the world for the better. When we spend money on a particular brand, we send a powerful message to the firms behind them that we endorse their objectives and practices. Whether our money will be used for responsible, ethical production practices, or for the callous disregard of human welfare and the infringement of human rights, is a choice we make for ourselves. Admittedly, accountable brands may have higher production costs, but by choosing to buy their goods, we tell firms that we do not endorse human trafficking and exploitation, and we do not condone poor labor practices. When we choose socially responsible brands, we are choosing a better world. Discard the notions that individual effort cannot bring about social change: brands such as H&M and Nike have begun bringing their labour practices into line, after the outcry over their unsavory labour practices affected sales. The situation is becoming more optimistic, bit by bit. Change is already happening. It is important to remind ourselves that while the actions we undertake may be akin to only one drop in the ocean, the ocean would ultimately be nothing without these droplets. Similarly, our small decisions can make a difference, and one day, will. Frugality may be dead, but it doesn’t have to remain that way. The EmancipAsia series aims to raise awareness of human trafficking in Singapore, and call for reflections on the treatment on foreign workers in our nation. To read more articles from this series: click here.